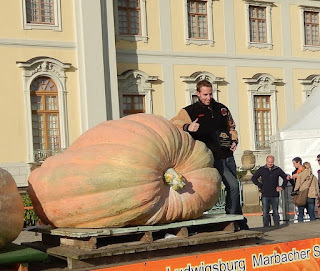 Congrats to Mathias Willemijns of Belgium on his new World Record giant pumpkin weighing in at an amazing 2,624 pounds. The pumpkin was grown on the 2145 McMullen seed and went 21% heavy. One of the seeds I plan on growing next year is the 1685 Scherber which is the 800 McMullen (reverse cross of the 2145) crossed with the 2145 McMullen. Five of the top 20 pumpkins grown this year where grown on the 2145 McMullen seed, so there is a lot of great genetics. The 1685 Scherber smashed the previous Colorado state record by over 200 pounds so it is an intriguing seed. Pumpkin MythBusters: Do Bloom Boosters Work?